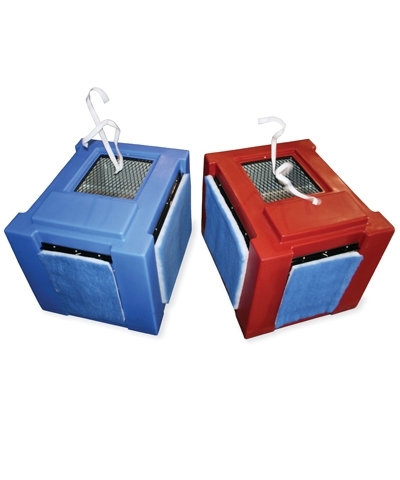 The New Gymnastics Chalk Eater Air Filtration System is a self contained air filtration system for removing the air borne chalk and dust from any gymnastics gym, rock climbing gym or crossfit gym. The heavy duty high density polyethylene outer housing is totally portable at 120# and plugs into any 110 outlet. The Chalk Eater is powered by an efficeint Baldor electric motor which drives the air blower circulating unit. 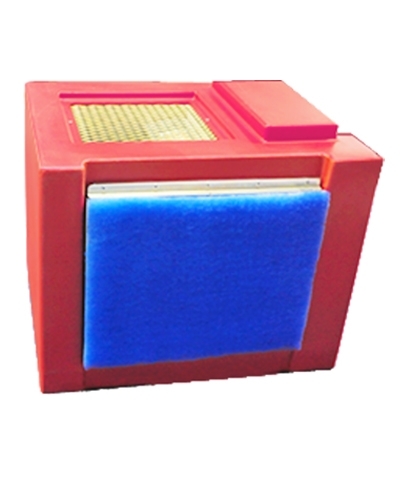 The outside primary filters are blue polyester filter media and are located on one end and both sides. Behind the primary filters are the secondary aluminum mesh filters for even more filtration. The primary mesh filters can be cleaned with a shop vac and the aluminum filters can be washed with the filter cleaner. The dimensions are 21"W x 36"L x 29"H. The Chalk Eater will filter 300 cubic feet per minute or 180000 cubic feet per hour. One unit will take care of a 5000 square foot gym with 2 uneven bars and 2 single bar trainers. It reduces the cost and amount of time required to clean the gym, as well as keeping chalk out of the office equipment. The Chalk Eater includes 9 filters(3 sets of 3), 1 gallon of tack spray with spray bottle and gallon of metal filter cleaner. 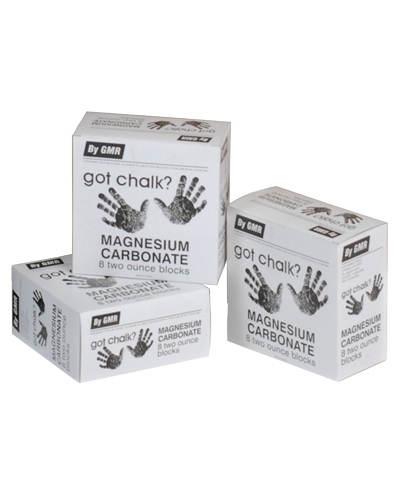 Locate the Chalk Eater in your bar area and breathe again. Ideal for rock climbing gymns also. Must ship motor freight. Please use the quote button to request shipping charges. European Red-wired for European AC/DC current, 220/230 motor upgrade. European Blue-wired for European AC/DC current, 220/230 motor upgrade.